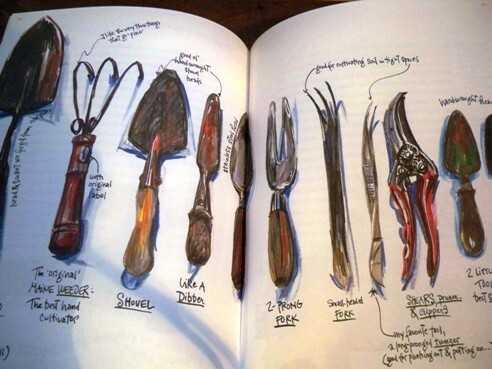 ﻿﻿ Illustrated journals, an often overlooked literary art form, are the subject of a new book from Heyday Books. 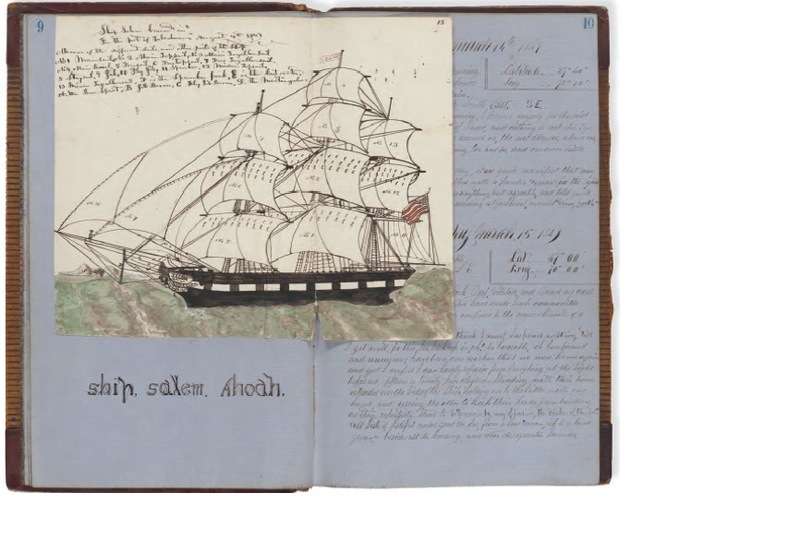 Beyond Words: 200 Years of Illustrated Diaries by Susan Snyder draws on the treasure trove that is the Bancroft Library at the University of California, Berkeley. This handsome collection of excerpts from 50 diaries—from the likes of naturalist John Muir, humorist Samuel Clemens, magician William E. Voight and poet-editor Lawrence Ferlinghetti—are objects d’ art that have been hidden away for many decades. ﻿ They include the records of eighteenth-century Spanish explorer Pedro Font to the jottings of a young David Brower when he first encountered the wilderness. These stories in words and drawings reveal as much about the times in which they were written as they do the diarists’ particular inner worlds. Whether filled with chicken-scratch sketches or gilded illuminations, these diaries expand our understanding of the experiences of their creators—from anonymous writers to literary luminaries. Beyond Words is a fascinating collection that will inspire you to pull out pen and paper to capture the fleeting images and experiences of your own life. And, it seems there’s no better place to begin recording the moments of your own life than in the garden. 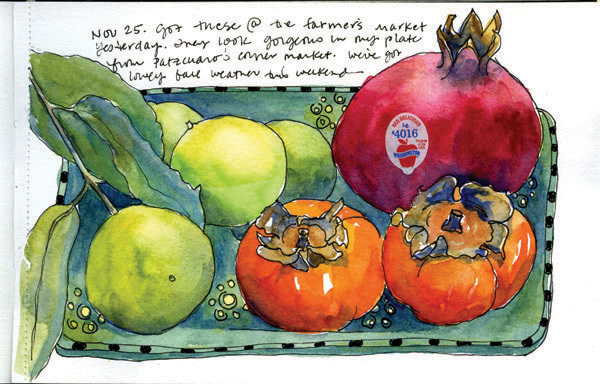 ﻿﻿﻿﻿﻿Val Webb, an artist/illustrator in Alabama carries on the tradition of the illustrated journal in her own drawings and in the work of her students. Her artwork celebrates a thousand small joys: botanical images from the garden and beyond; the insects and birds who share our urban wilderness; lazy koi sliding beneath lotus flowers in a backyard pond; the glimpse of a soaring pelican at the beach; a friendly cat on the front porch; a good cup of coffee. For those of us caught up in the wonders of the digital age, it’s a useful reminder that before cameras, the skill of illustration—like that of piano playing, good penmanship, embroidery and journaling—was frequently the mark of an educated person. ﻿The written word can record the particular details of one’s life, but adding illustrations brings greater dimension to what we see and feel. Impressions that both intrigue the creator’s and the readers’ mind while delighting the eye. If, as German-American political theorist Hannah Arendt famously said, imagination is the key to understanding, “the only moral compass we have,” the illustrated journal, by opening up a deeply personal account of the world to an audience of strangers, can do much to build shared consciousness. An inveterate diarist, Susan Snyder has worked as a teacher, illustrator, and Japanese language interpreter before becoming head of public services at The Bancroft Library at the University of California , Berkeley , where she has spent twenty years exploring the library’s stacks, attics, and moats. She is the author of Bear in Mind: The California Grizzly and Past Tents: The Way We Camped, which were also co-published by Heyday and The Bancroft Library, and coauthor of Everyday Dogs. If you’re in the San Francisco Bay Area Wed, Nov 16, there will be a discussion of illustrated journals from 6–8pm at the Morrison Library, 101 Doe Library, at UC Berkeley. Author Susan Snyder and Heyday publisher Malcolm Margolin will offer insights into this historically important art form. Refreshments will be served. RSVP by November 11 to lillian@heydaybooks.com. See you there! In the meantime, I’ll be cleaning up leaves in the garden, perhaps pressing a few in my journal.